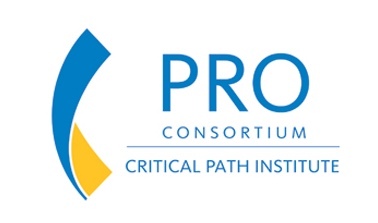 TUCSON, Ariz. – May 7, 2018 — Critical Path Institute‘s (C-Path) Patient-Reported Outcome (PRO) Consortium announces its second clinical outcome assessment (COA) qualification from the US Food and Drug Administration (FDA). The qualification of the Non-Small Cell Lung Cancer Symptom Assessment Questionnaire (NSCLC-SAQ) for exploratory use represents another major milestone for the PRO Consortium and, specifically, for the NSCLC Working Group. This is the culmination of a multi-year collaboration between FDA’s Center for Drug Evaluation and Research (CDER) and the PRO Consortium. The qualification supports exploratory use of the NSCLC-SAQ as a measure of symptoms of NSCLC in drug development. Drug developers are encouraged to discuss with FDA inclusion of this novel instrument in their NSCLC drug development programs. Further evaluation is needed on the instrument’s longitudinal properties and the interpretation of clinically meaningful within-patient change in score. This information can be obtained in early-phase studies in drug development programs. As further supportive experience with the NSCLC-SAQ accumulates, the qualification could be expanded to include use of the NSCLC-SAQ as part of a secondary efficacy endpoint in confirmatory studies. The Qualification Statement can be found at FDA’s Clinical Outcome Assessment Qualification Program Submissions Site. Further information about the NSCLC-SAQ and how to access it is available by contacting [email protected]. The Patient-Reported Outcome (PRO) Consortium was formed in late 2008 in cooperation with the US Food and Drug Administration’s (FDA) Center for Drug Evaluation and Research and the pharmaceutical industry, and formally launched in March 2009. 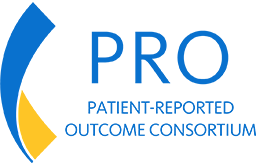 The mission of the PRO Consortium is to establish and maintain a collaborative framework with appropriate stakeholders for the qualification of patient-reported outcome (PRO) instruments and other clinical outcome assessment (COA) tools that will be publicly available for use in clinical trials where COA-based endpoints are used to support product labeling claims.